The SU-122-54 is a versatile tank destroyer, being able to fulfill multiple roles during the course of battle. Excelling both at sniping or due to the mobility, supporting fast assaults or flanking operations. The vehicle has a high camouflage rating due to its low profile, and can thus move swiftly around the battlefield without being spotted. When supporting in offensive operations, the low HP doesn't allow the SU-122-54 to be the first going into battle. Stay behind friendlies and act as a stealthy support vehicle. The narrow horizontal gun arc and depression values mean that the SU-122-54 does not excel in hilly terrain. This, combined with a relatively slow reverse speed and low amount of hitpoints limit aggressive play. Coated optics are therefore generally more useful than binoculars as the vehicle has to traverse a lot to track moving targets. 122 mm M62-C2 should be unlocked from the SU-101 and can be installed with 100 kg left over. The R113 radio V-14 engine may be unlocked and can be installed if available. The SU-122-54M2 suspension is to be first unlocked for better traverse speed, gun performance (dispersion), ground resistances and increased weight limit. Up next should then be the V-14 engine followed by the R113 radio. 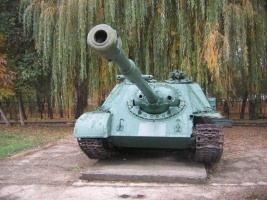 Also known under designation IT-122, the SU-122-54 was based on the T54 chassis. 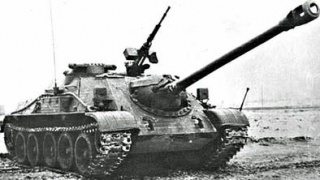 Developed started in 1949, with a goal to design a long range tank destroyer. Between 1955 and 1957, 77 vehicles were built with minor differences between production lots (different commander's cupola etc.). 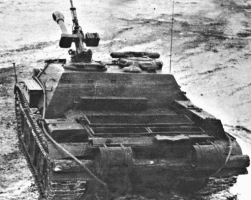 The SU-122-54 had a modified T-54 chassis, with small spaces between the first, second and fourth pair of wheels and a large gap between the third, similar to the T-62's and a superstructure, built into the hull, housing the 122 mm M-62-T gun for which the vehicle carries 32 rounds. 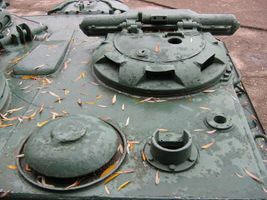 The secondary armament consisted of two KPVT heavy machine guns, one mounted as an anti-aircraft machine gun near the commander's hatch and the other mounted coaxially with the main gun. The vehicle carried 600 rounds for the machine guns. 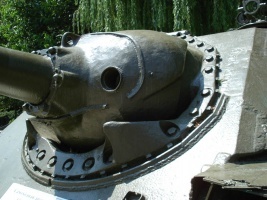 The main gun has a fume extractor positioned right behind the muzzle brake, although some vehicles were built without fume extractor. Other variations included a different commander's copula. 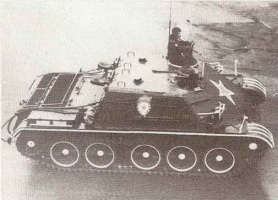 The SU-122-54 was rarely observed during its service life in the 1950's and early 1960's and became generally known only after ARV versions (designated TOP) were seen during Red Square parades during the 1970’s with the armament removed and the front glacis plated over. 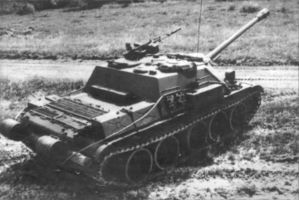 In 1954 the SU-122-54 was experimentally tested with a more powerful 122mm M-62S tank gun, but this version did not reach series production. This page was last modified on 23 March 2017, at 17:22. This page has been accessed 199,458 times.